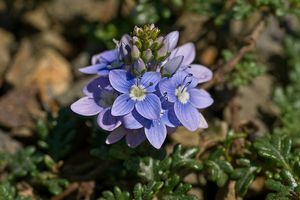 A Veronica exists for almost every garden situation with this delightful little drought-tolerant ground cover well suited to the xeric garden, rock garden, or sunny path. 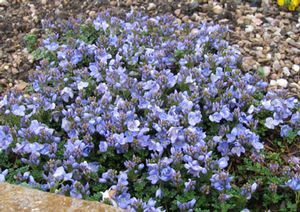 Thick emerald green leaves reach a mere 1” in height and will spread to fill in between rocks or pavers. 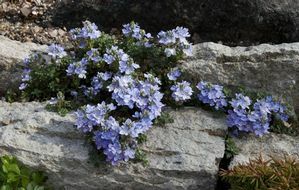 Violet-blue flowers bloom in late spring to early summer. Provide moderate moisture and good drainage.